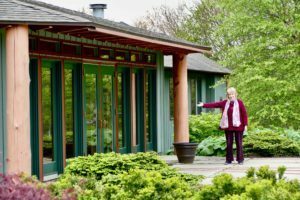 Since that unexpected beginning, Light on the Hill has grown—thanks to divine guidance—from a small retreat hut to three cottages, a lodge, and a chapel/sanctuary. People have come from more than twenty states and seven countries. It’s housed the Hidden Treasure Program from its beginning in 1998. Many of my students consider it their second home. For more information, please go to the Light on the Hill Retreat Center website.